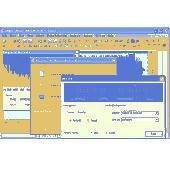 Elecard XMuxer Pro is an audio/video editing program designed for professionals and enthusiasts. Elecard XMuxer Pro is an Audio/video editing program designed for professionals and enthusiasts. It supports all popular formats like MPEG-1 System Stream, MPEG-2 Program Stream (including SVCD and DVD), MPEG-2 Transport Stream, MP4 (Sony PSP, ISMA, iPod), AVI (DV, XviD, DivX, 3ivX). Pyramix is already acknowledged as the pro audio industry's most advanced digital audio workstation. Pyramix is already acknowledged as the Pro Audio industry's most advanced digital Audio workstation. It offers unsurpassed sonic quality and a level of flexibility proven by its suitability and acceptance in post production, multi-channel live music recording, broadcast radio and CD/DSD music mastering. Quantum FX is two great packages in one: an instant pro audio toolkit and a modular effects builder to create the plug-ins of your dreams. Cakewalk SONAR, Steinberg Cubase, Cakewalk Project5, Cakewalk Pro Audio and many other products from Cakewalk provide the ability to use plug-in MIDI effects. Introducing the latest development in RF spectrum monitoring — Pro Audio White Space Finder / RF Spectrum Analyzer [Model PAWS4400]. PAWS4400 is the next generation of PC-based, RF spectrum analyzer for the Pro Audio and video industries that offers automatic charting of open white space, frequency coordination and channel assignment. 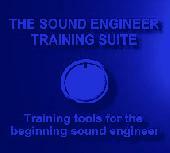 Training course for beginning sound engineers. Great for band or church sound engineers. Explains the basics of setting up and sound checking a live band; start to finish. The program covers equalization, Audio connections, mixing, avoiding feedback, and getting good sounds on vocals and instruments. Training software bundle for beginning sound engineers including the Award-Winning programs Understanding the Audio Mixer and The Sound Check Trainer. In 2008 Nuts About Nets developed a new series of PC-based, RF spectrum analyzers -- IW1800 and IW3500 -- specifically designed for the professional audio and video industries. These Mixing & Mastering tutorials are a complete guide to digital audio Mixing and Mastering. Software-only broadcast audio transmission package, runs on Windows PCs.